In the UK, eight in every ten people are struggling with debt, say researchers; and that’s excluding mortgages. We’ve a national crisis on our hands, and so it’s not surprising that more people than ever are turning to Individual Voluntary Agreements (IVAs) for help. If you’re one of the 80%, an IVA could be just what you need to get yourself back on your feet. Within five years, you could be debt free. An IVA is a legally binding contract between you and your creditors which approximately lasts for five years. After this time, your remaining debt will be written off. First of all, you have to be insolvent, which means that your debt is of greater value than your assets. You also need to have a debt of more than £10,000 to be considered eligible. IVAs were established as an alternative to bankruptcy. You’ll have to disclose openly your financial situation and an IVA will remain on your credit record for six years after the contract is terminated. If more than 75% of your creditors agree to the terms of the IVA, all the remaining creditors are bound to the contract. From this point onwards, creditors can propose amendments to the agreement, but it’s down to your discretion entirely whether you say yay or nay to these requests. Good news is that your interest and charges will be frozen completely, leaving you the space to start paying off your debt. Creditors aren’t allowed to demand any more money off you. Every month, you’ll pay a premium of (minimum) £200. 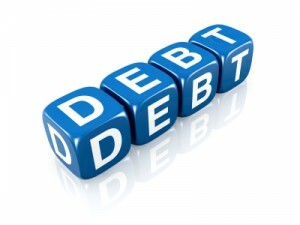 The sum is usually agreed based upon what the debtor can afford. After the last payment is made, the rest of the debt is wiped away. Usually, you’ll need to be employed before you’re granted an IVA. Your creditors will want to see that you’re able to make the payments. Before you make any moves, talk to a free, independent debt charity for advice on moving forward. An Insolvency Practitioner (IP) will collect details about your financial situation and arrange a meeting with your creditors; you won’t have to attend this. Always keep up communication with your IVA company. If you find yourself unable to meet one month’s payment, it should be dismissed as a one-off, especially if there’s a good reason. However, if you start regularly missing payments, you’ll have broken your IVA contract and it’s likely that you’ll be declared bankrupt. During bankruptcy, you’re forced to sell all your assets to pay off your creditors. Whereas an IVA generally allows you to keep your house and your job, bankruptcy seriously jeopardises your home and employment. If you can apply for an IVA it’s best to, when you consider how an individual voluntary arrangement can clear debt, with minimal effect to your life. Annually, you’ll receive a review of your financial circumstances. If there has been an increase in salary, then your payments will reflect that. Likewise, if you’re struggling to meet the premiums, your IVA company should lower the amount of money you’re paying in.